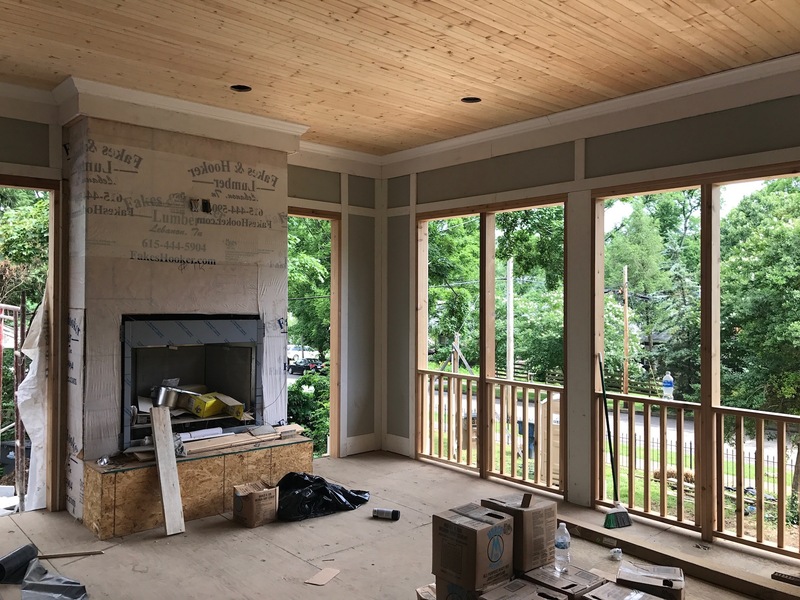 Back in May, we shared an early look at at a passion project we’ve taken on: the top-to-bottom renovation of a gem of a historic home in Belmont. 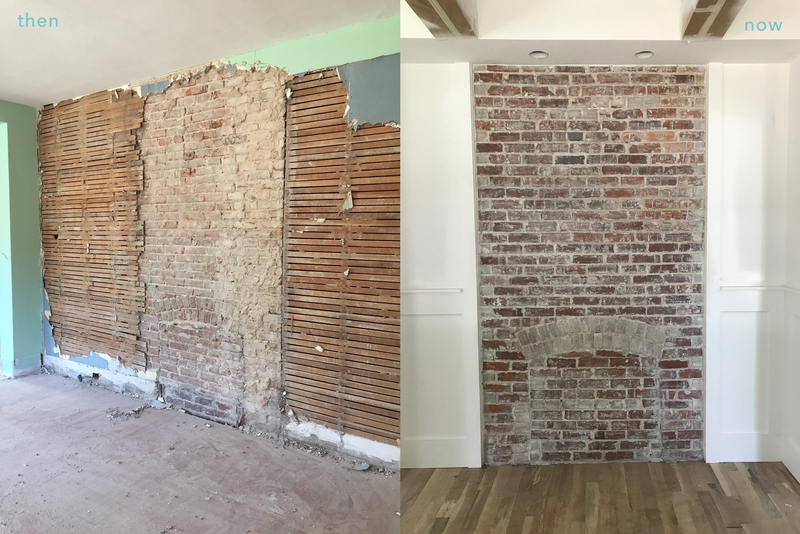 In the spring, we were in the early steps of reinventing this early-1900s foursquare, pulling down cracked plaster, exposing brick, stripping room-shrinking wallpaper and the like. Our goal from the start: to renew this home without losing the marks of history that made and make it so beautiful. Since we’re now several months into the work, we wanted to drop back in and show you some of the progress. We’re still a long way from finished, but the process has been inspiring and exciting, and we’re finally starting to see some visions become reality. 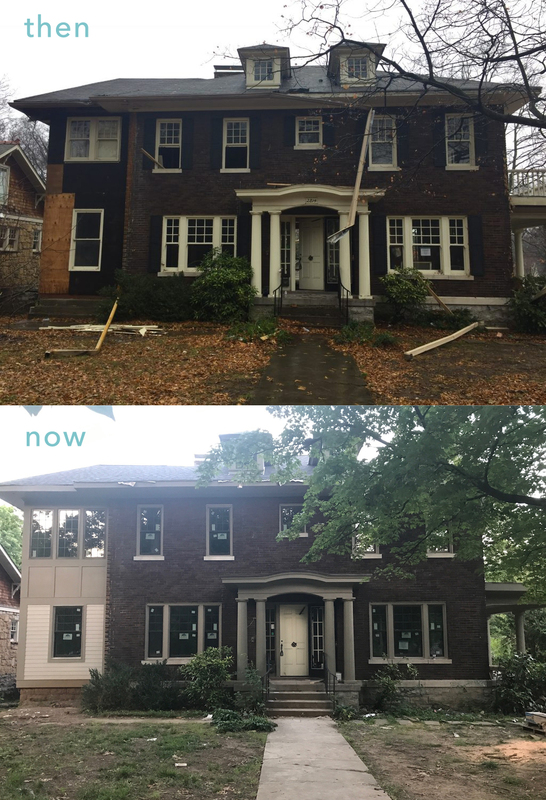 There’s still work to be done in the front of the home, landscaping in particular, but we’ve come a long way, and you can see our intent come to life here: restoring, not reinventing. I love seeing the original aesthetic coming through fresh, clean and functioning, good as new. The kitchen wasn’t original when we bought the home, and it definitely needed some updating. Our aim was to bring in timeless lines, colors and textures that’d ride the line of bringing the space into the present and returning it to the home’s original era. 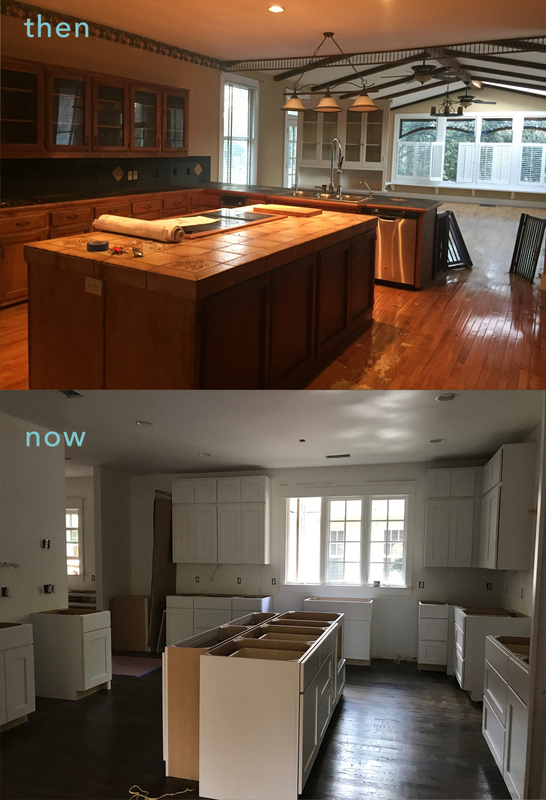 You can see some of the progress here, with crisp white shaker cabinets and refinished hardwoods in a deeper tone. This fireplace may be non-working, but the brick was too beautiful to stay covered up. We’re really happy with the restoration work, and how it lets the arched brick detail come to the fore. 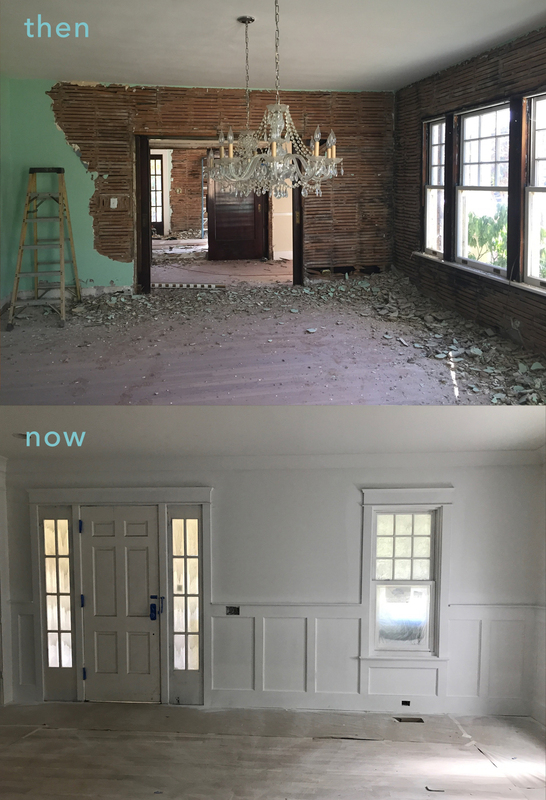 The wainscoting throughout the room is new and fresh, but it keeps the historic charm and suits the original brick. On the top here, you can see an entryway leading to the front door, right in the middle of demo. Below, a closer look at that door and the front room, restoration well under way. We had to keep and restore that rock-solid original door, with those bright and beautiful sidelights. Attention, elbow grease and paint can make a major difference. From a blank (but dirty) slate to a bright, crisp space. 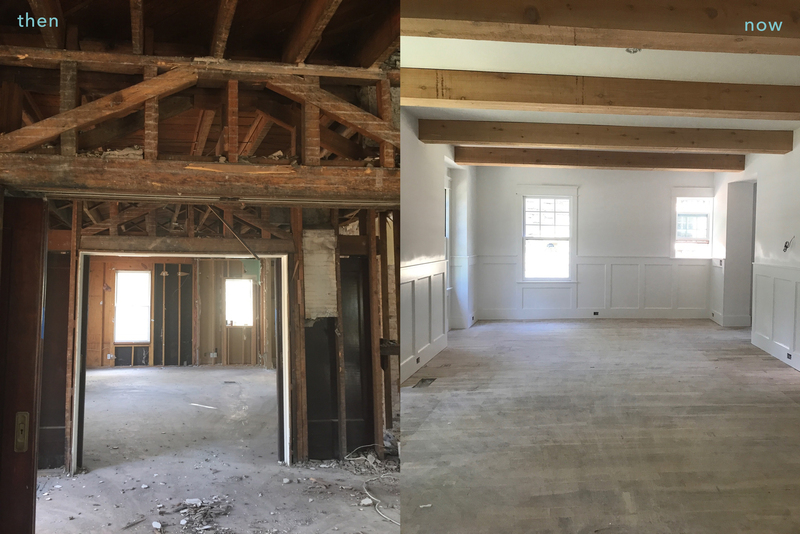 We brought in a lot of custom details throughout the home, like these warm beams, to add extra interest but keep the aesthetic timeless. Hope you enjoyed a little peek into the progress — there’s a lot more to come, and we’ll share more as we get closer to the final walk-through. If you’re looking for a historic Nashville home to restore, we’d love to help you find it. If you’d rather keep paintbrushes and sandpaper out of your life, we can help there too. Reach ACRE here, or for a quick and easy way to get your Nashville househunting process started, fill out this online form. Is the house refinishing complete? Update with pictures? Has it been posted … If so, I missed it. How can I locate more posts on the Belmont home project?